VH-ANF. 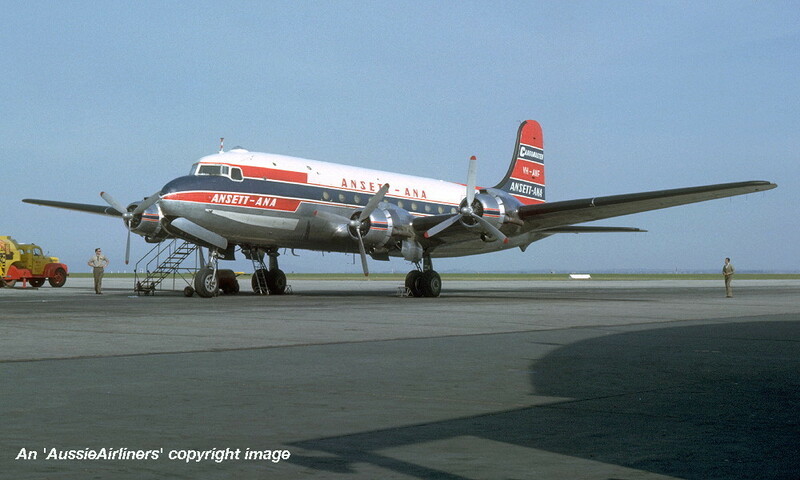 Douglas C-54A-5-DC c/n 10302-33. Entered onto the Taiwanese Aircraft Register as B-1811 - ? VH-ANF. 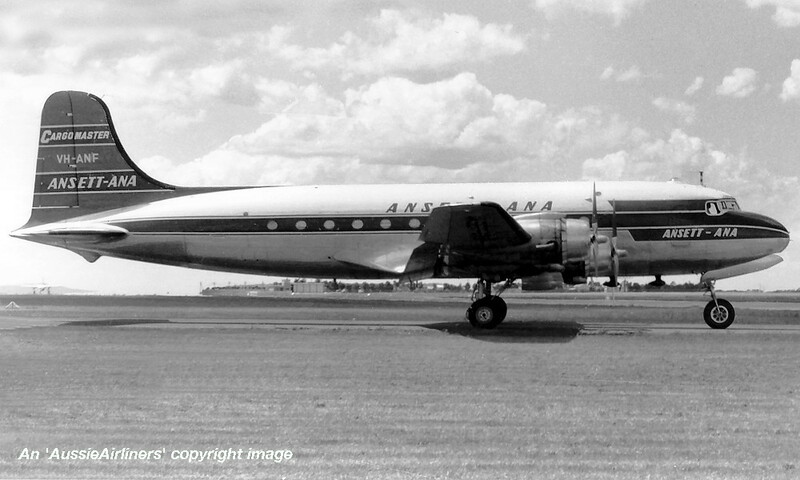 Australian National Airways Pty Ltd - Loongana' in the original livery at Melbourne Essendon Airport, date unknown. VH-ANF. 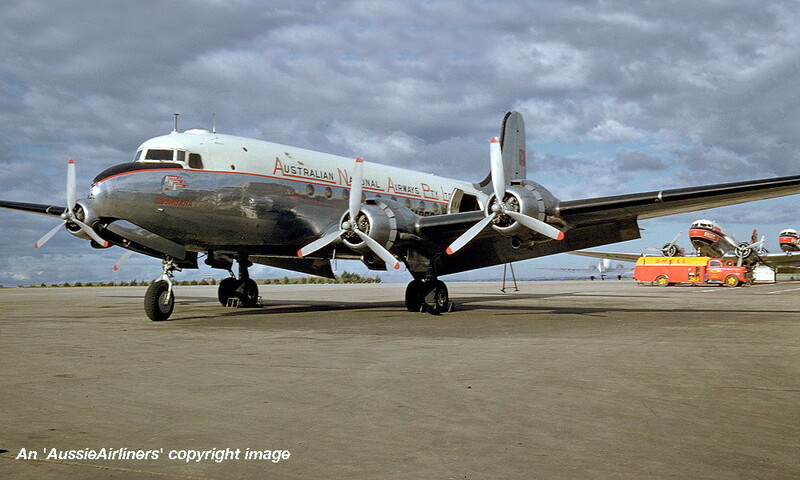 Australian National Airways Pty Ltd - Loongana' in the revised livery at Melbourne Essendon Airport, date unknown. VH-ANF. 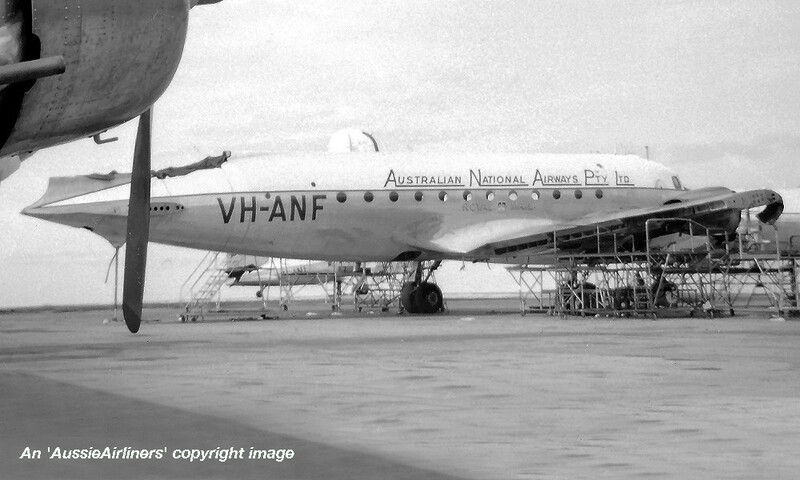 Australian National Airways Pty Ltd - Loongana' in the revised livery at Brisbane Archerfield Airport, November 15, 1954. VH-ANF. 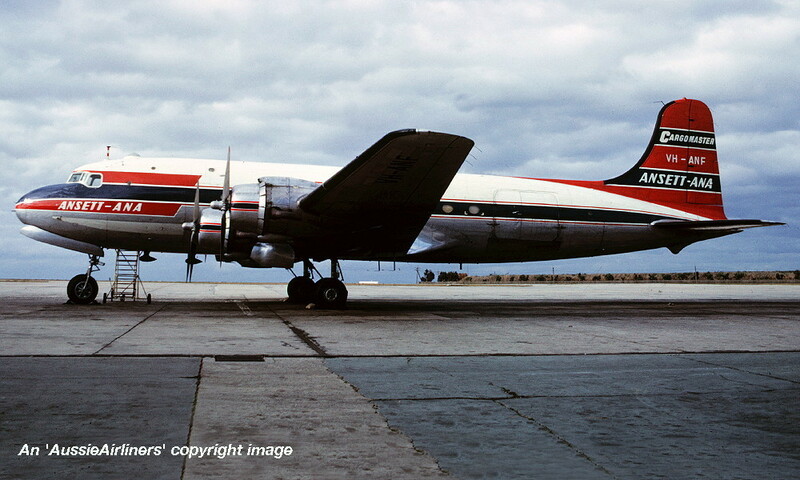 Australian National Airways Pty Ltd - Loongana' in the revised livery at Melbourne Essendon Airport, March 1955. 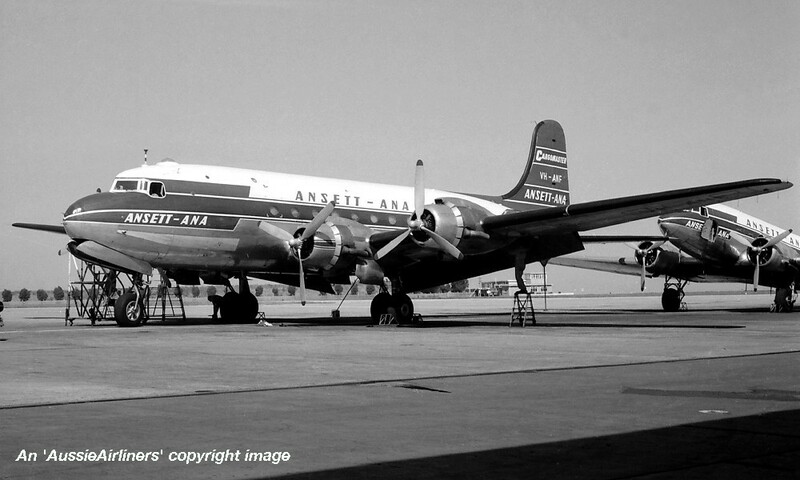 The aircraft is undergoing repairs following its unfortunate landing accident. VH-ANF. 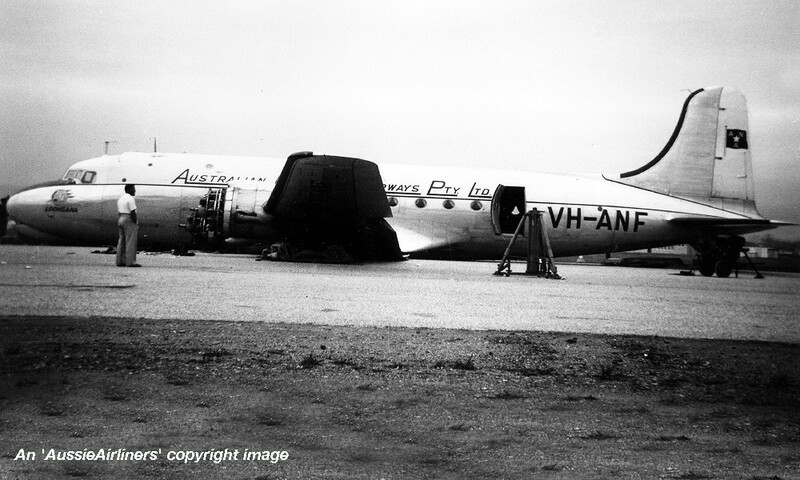 Australian National Airways Pty Ltd - Loongana' in the revised livery with additional 'Air Cargo' titles at Melbourne Essendon Airport, date unknown. VH-ANF. 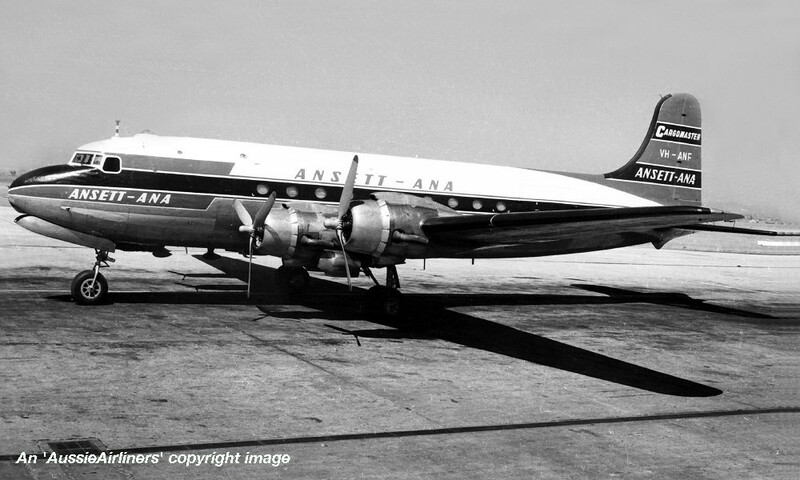 Ansett-ANA - in the standard livery with 'Cargomaster' tail titles at Melbourne Essendon Airport, date unknown. 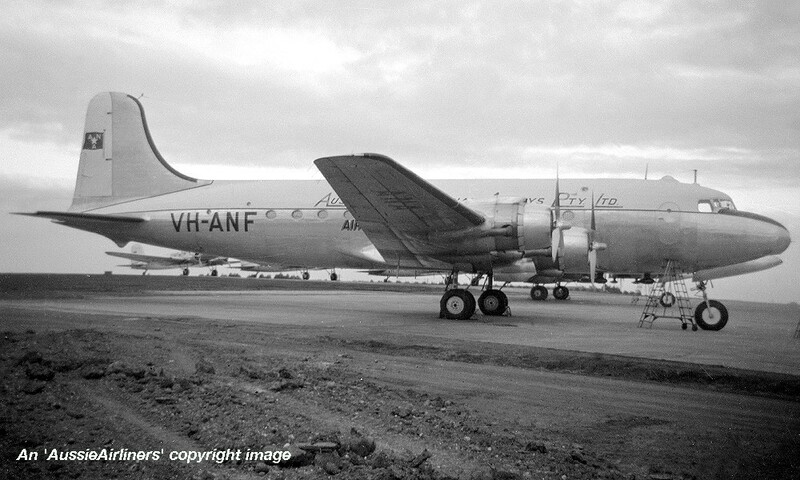 VH-ANF. 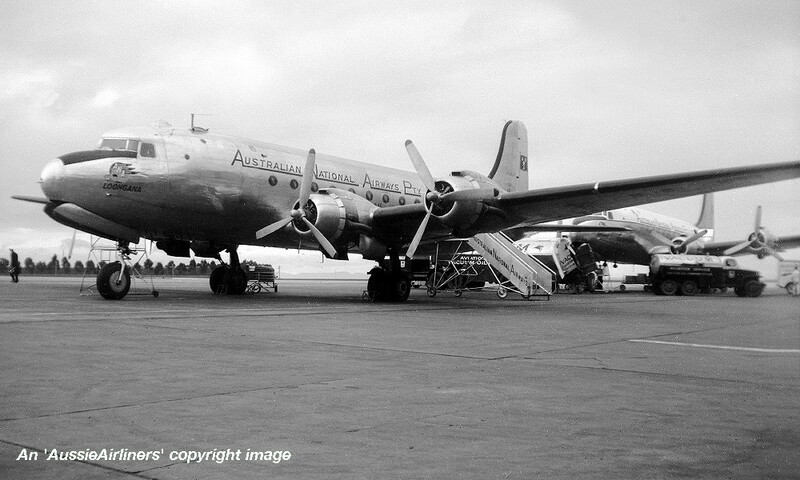 Ansett-ANA - in the standard livery with 'Cargomaster' tail titles at Melbourne Essendon Airport, April 1966. B-1811. 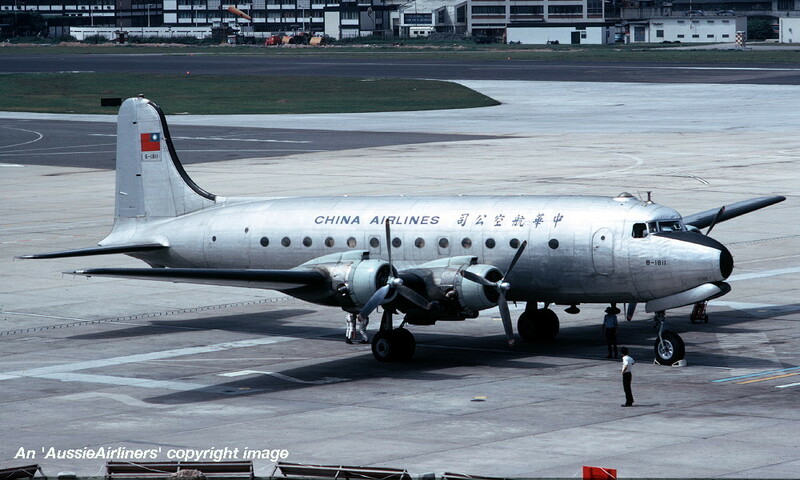 China Airlines - in the all-metal livery at Hong Kong Kai Tak Airport, June 1974.